This Diatone Beta V1.0 100mm wheelbase frame is so easy to build it will have you flying in no time. 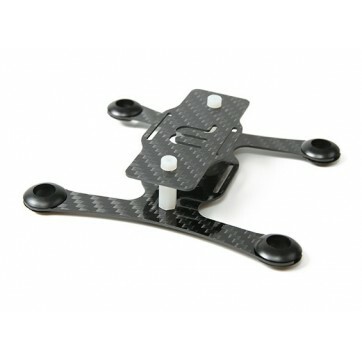 Yet the frame is still a strong build of 1mm carbon fiber. Added to the kit is a few extra bits and pieces just in case you lose a grommet or two. Get buzzing around the yard or park.